If you are an Android user and want to keep an eye on your device to maintain its performance and longevity, all you need is an app which keeps a track on your RAM usage and analyzes it. Here is a list of five apps and widgets which I found on the Play Store that sound quite useful. Have a look at them, before you make a choice. As an Android user, I was in search of an app that would monitor my usage of RAM and keep my phone healthy by checking and analyzing my device usage and warn me if any of my newly installed app is taking too much of memory. I think such an app would really be of good use especially for developers where they can test the RAM usage in real time. RAM usage increases with any activity you do on your smartphone like when we surf the internet, download apps, watch movies, videos, use GPS Maps and other stuff of our interest. Here is a list of apps that are quite useful and all of them can be found in the Play Store. 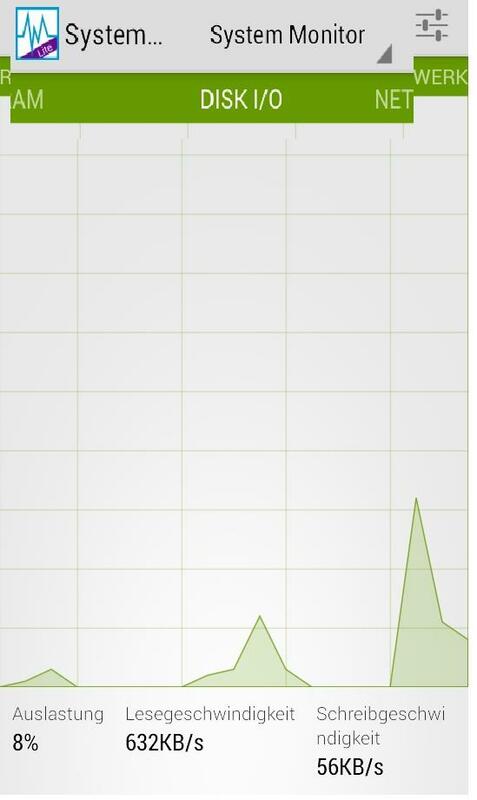 The System-monitor has been quite a popular app for providing system statistics for Android users. The Lite version of this app looks very versatile and appealing to me. Through this application you get real time system load statistics that is organized and displayed in the form of graphical representations and textual analysis. I found this app doing all the major tasks all at one place. It monitors the CPU, the RAM, I/O, Top Apps, Network and Battery. It has an option where you can select monitoring of either the total CPU usage or the CPU tasks performed individually. It has a calculation strategy that monitors the remaining battery life. To spare system resources there is a regular update interval of real time monitoring. There is also a place where DashClock lockscreen widget extensions are lined up for you. You have to Run the app on star in order to launch the battery monitoring service becoming active while the system boots. 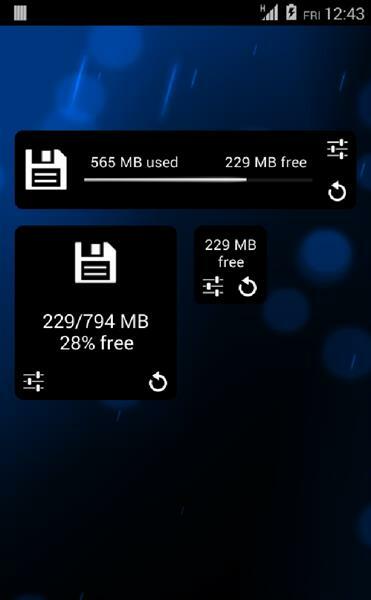 This Stats Monitor Widget is available for Free in the Play Store and the app says it would do all the major tasks of your Android Device to keep it healthy and performing at its best. Initially I felt like removing this app due to the disturbing pop up ads but they do have a paid version of the app which is completely ad free for a smoother and faster version of this app. You can buy the premium version which costs you only $1. It shows the Device Memory that includes the RAM, Internal, External, SD card, and you can also adjust the Megabytes and Gigabytes setting. You get the latest Updates every second with the details of phone info and it keeps monitoring the system simultaneously. Easier to see the current date and time, with AM/PM format. It shows the current Battery status along with the temperature and percent of juice left. It informs you about the System and the CPU as well as the up time. It shows notifications for the Mobile Network like the local IPv4 address and also the 3G, 4G, WiFi info. You get to know about the Data Speeds as well- like how much time it took to upload and download the files and the updates are done every 3 seconds with accurate reading. The widget has a Customized setting where the users can choose to display or hide any of the notifications they want. There is also an option of Advanced Settings where one can make changes in the tweak formats and its settings and even choose options like enabling multi-core CPU support. You can go Minimal with simple and easy to see home screen and even then make it look good. The Text Settings allows you to change the colors of the text and background according to your taste. The Conky (Like) feature lets the users Create their own widgets, keeping at bay all complicated scripts. Battery Saving : This widget itself is a battery saving one tat does not kill your battery as it pops up with requests only when your screen is on, so you need not worry about the precious battery life while the widget is monitoring your device. The Widget shows you the amount of RAM used, and even guides you to the shortcuts through which you can kill the background processes while running the custom apps. You can create the appearance of the widget as per your taste and can run any app just on one click. DashClock extension: Apart from choosing the stats to display, there are many useful extensions which maintain your RAM status even when the app gets bigger. 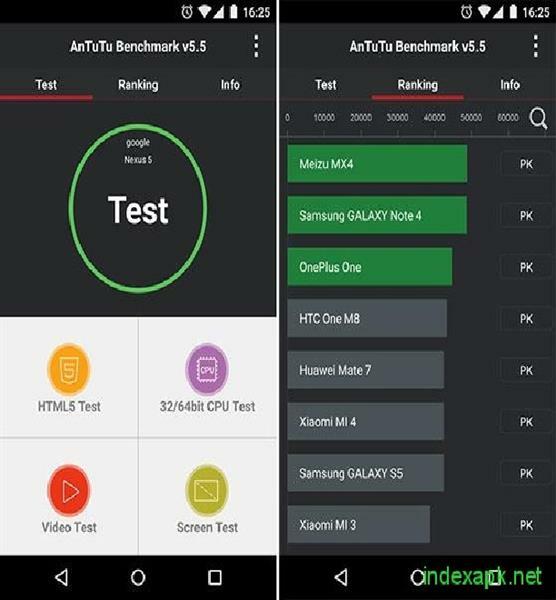 This Benchmark app has caught the attention of numerous Android users with its Click and Go test suite, that conducts a comprehensive test of all the major aspects of an Android device, like RAM, CPU, I/O, UX, GPU and much more. This app gives each individual item score after it has been assessed and tested. Hence, these scores would get uploaded and updated into the Antutu database, which would be further used to rank the device you are using among all other Android devices. The 3D Testing Scene is wearing a new look. New UX testing items are added and the proportion of the UX testing has been increased. It has added a new CPU Testing option. The Score Proportion has also been renewed. The latest version has introduced a Cross-platform feature. 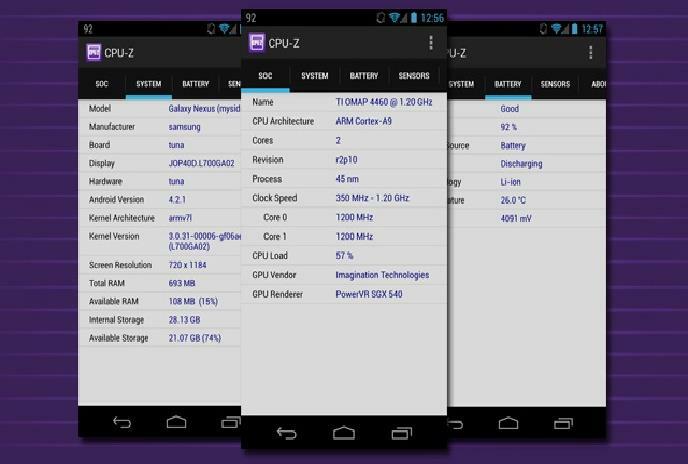 The Android version of the "CPU identification tool for PC" which is now named as CPU-Z is a free application for generating reports with the latest information about your device. There is a SoC (System On Chip) for the name, clock speed and architecture for each core. You get information of the System like the RAM usage, storage used and left, device brand & model, screen resolution and more from this app. The app displays notifications of the Battery level, its status, temperature and capacity as well. You should know that the Android versions coming nowadays are quite smart in managing the RAM that is being by different apps. The OS can sort of hibernate the app when it has been sent to the background so that it does not use as much memory when it is being used. This of course has exceptions where the app needs to run in background like the Music apps. The purpose of listing the apps above so that you can deal with the very common problem of all Android devices - intermediate hangs - by monitoring the RAM usage statistics of each app and of course for developers who should always check the resource utilization of their apps while they are still testing it.